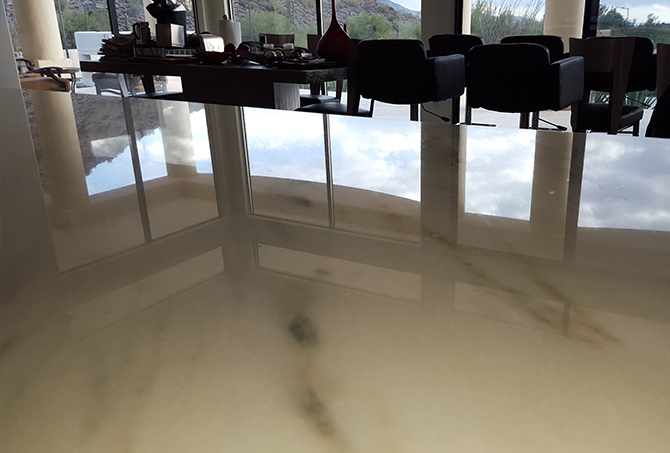 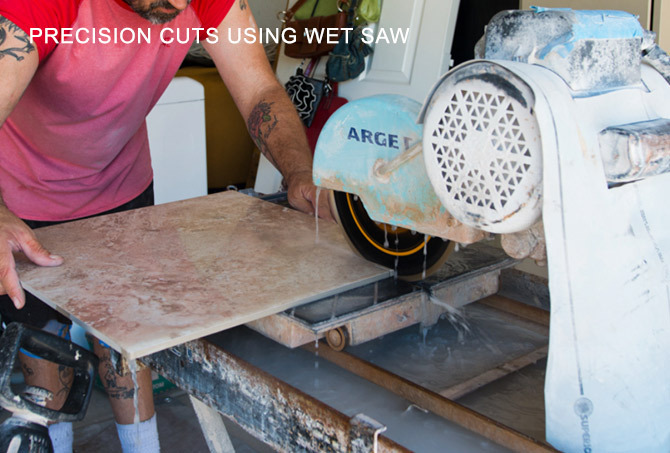 This dull, scratched marble top looked brand new after our expert marble refinishing services. 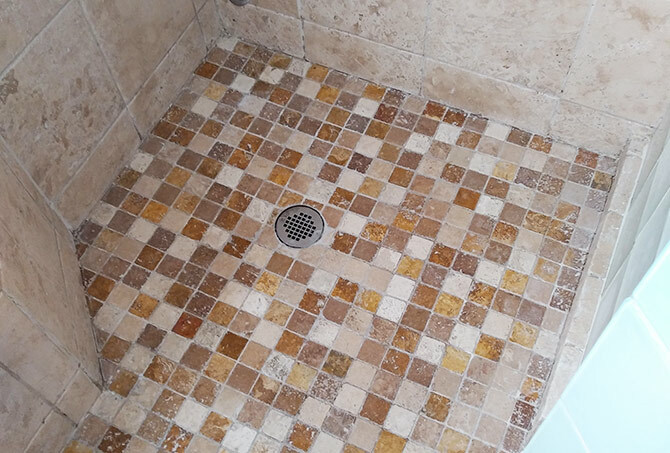 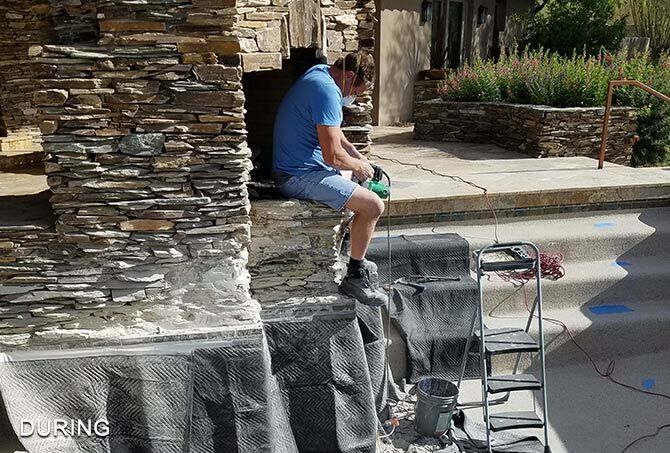 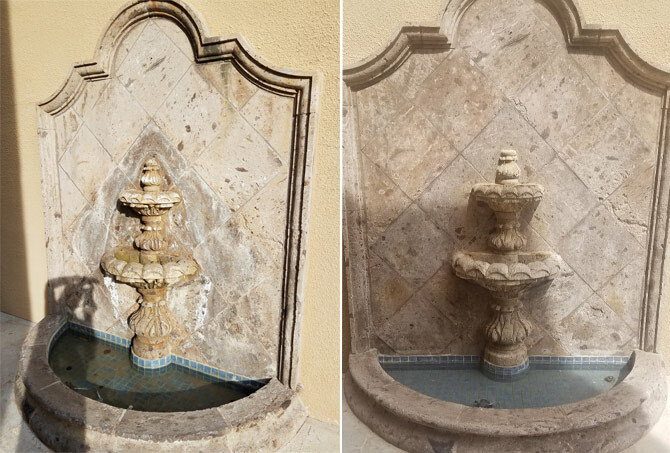 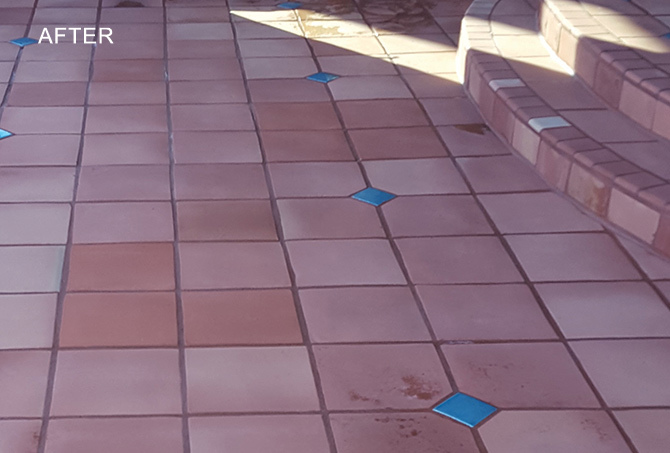 We removed grime, contaminants, and calcium build up from the travertine, cleaned and sanitized, and replaced some areas of caulking. 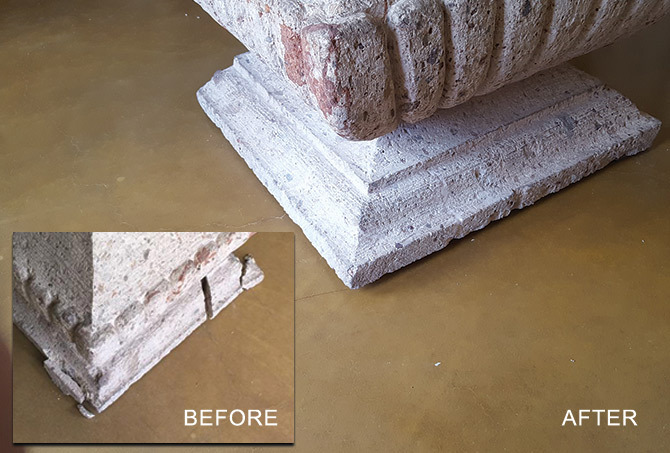 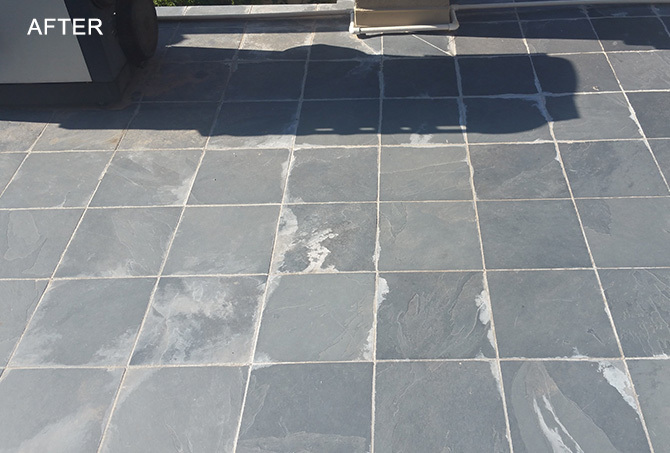 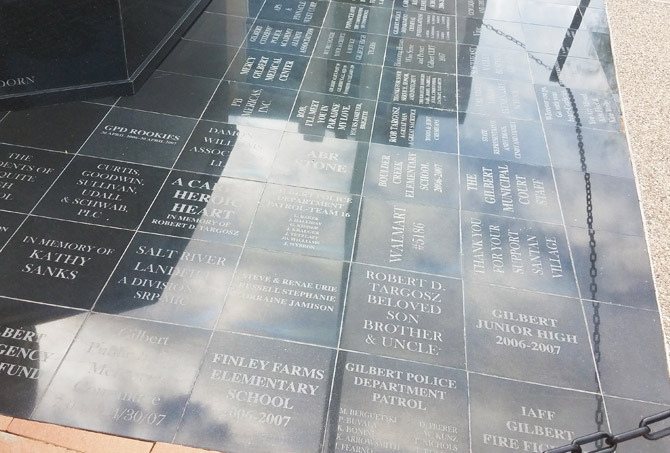 We repaired and unsightly crack, and cleaned and sealed the granite statue base and floor tiles. 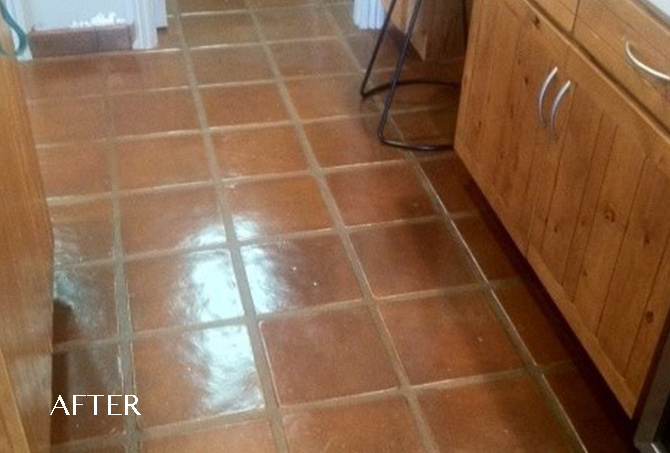 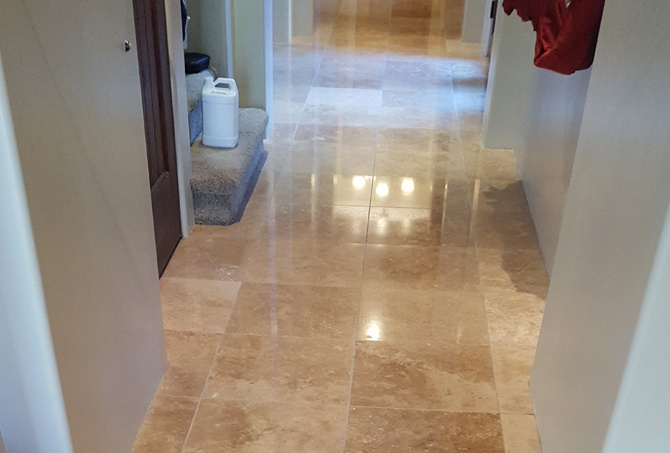 This travertine looks so much better now that it has a natural polish and the appropriate sealer applied. 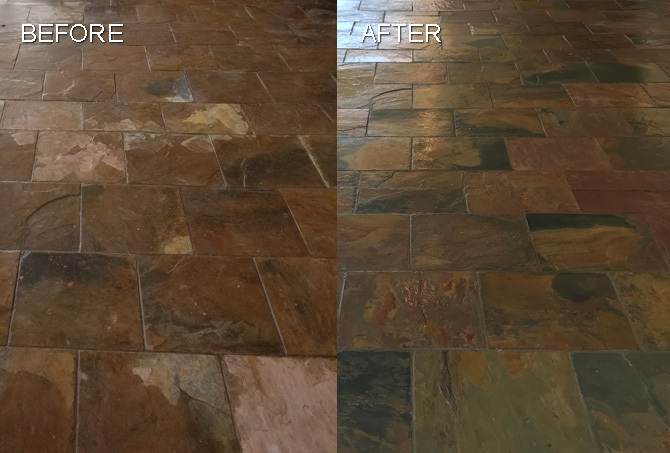 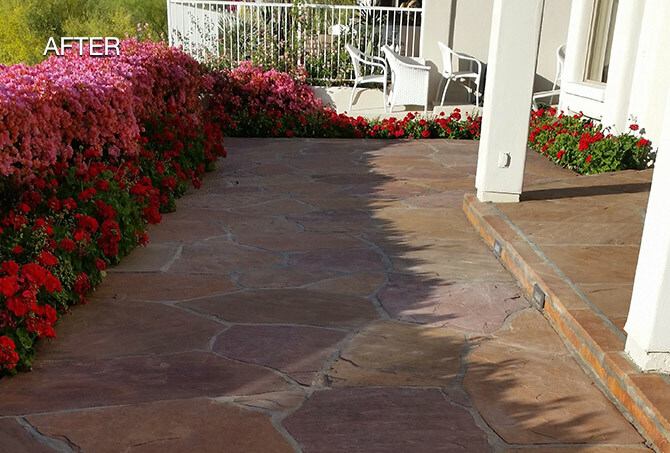 We restored the natural color and texture to these decorative stones by removing calcium deposits buildup. 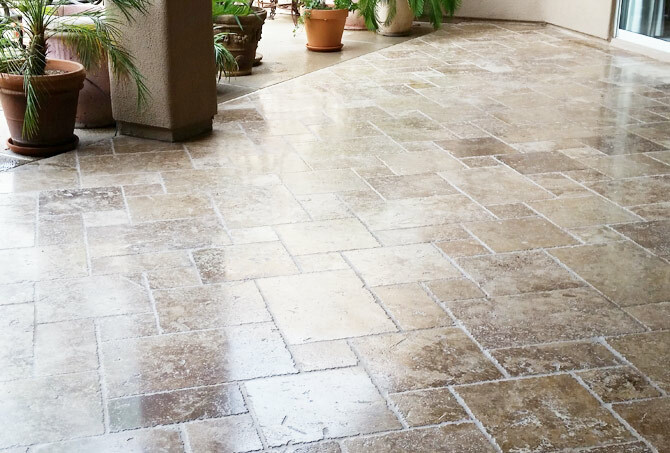 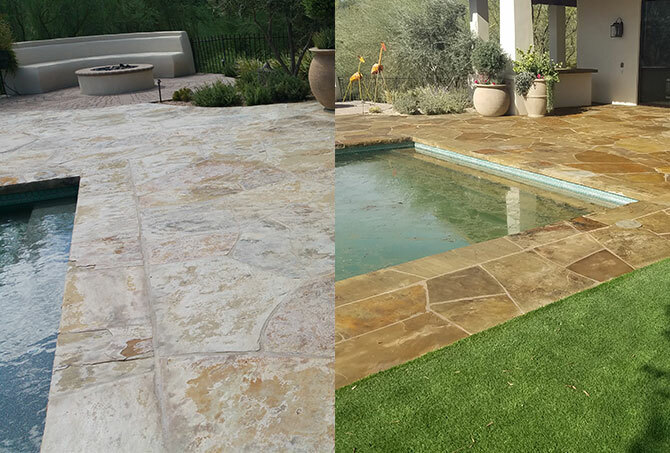 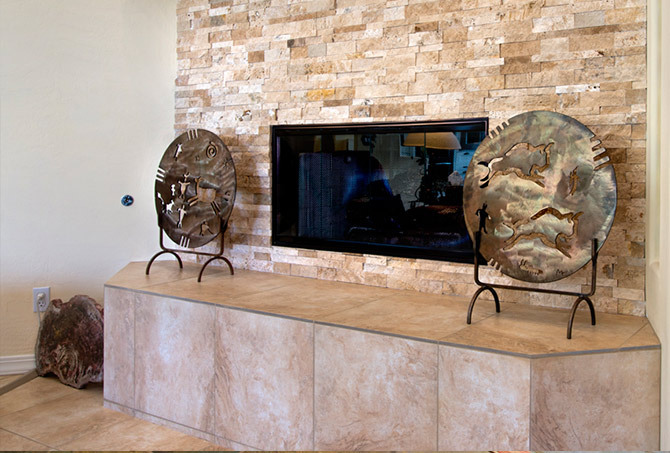 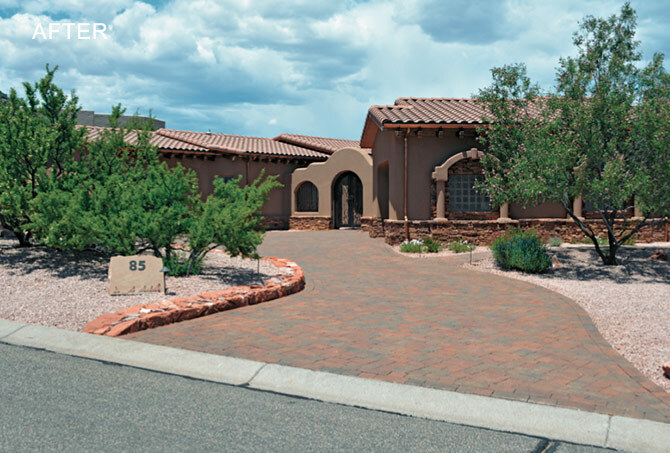 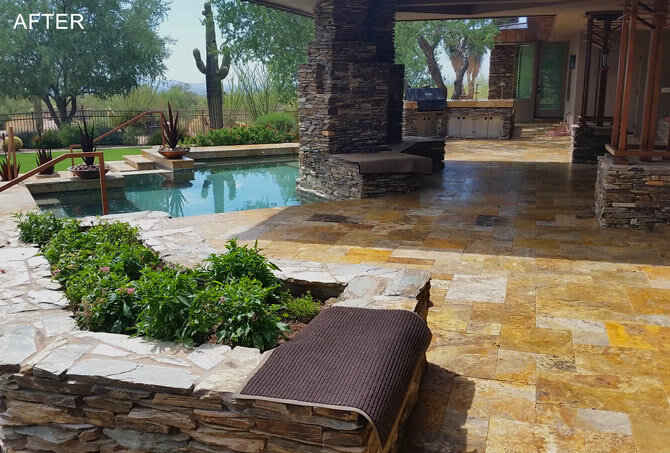 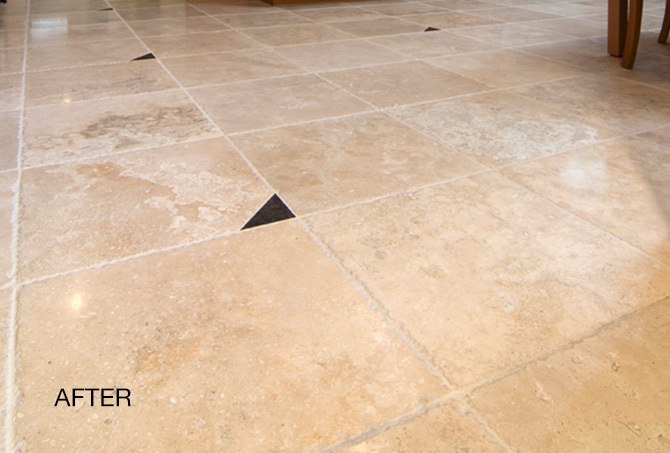 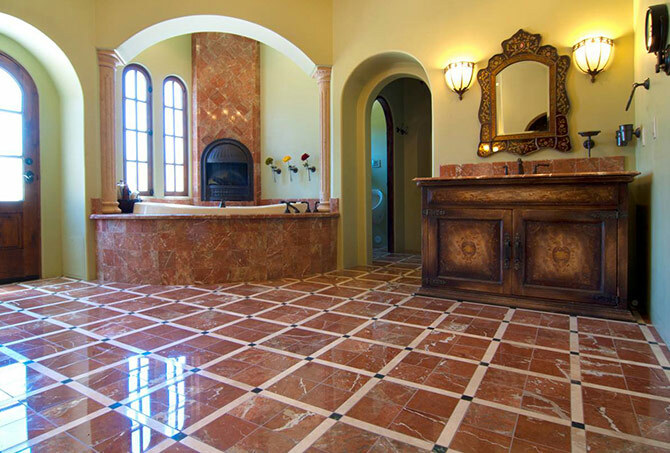 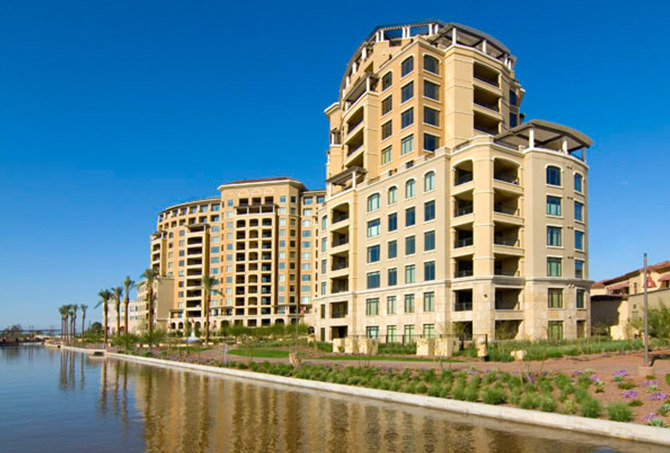 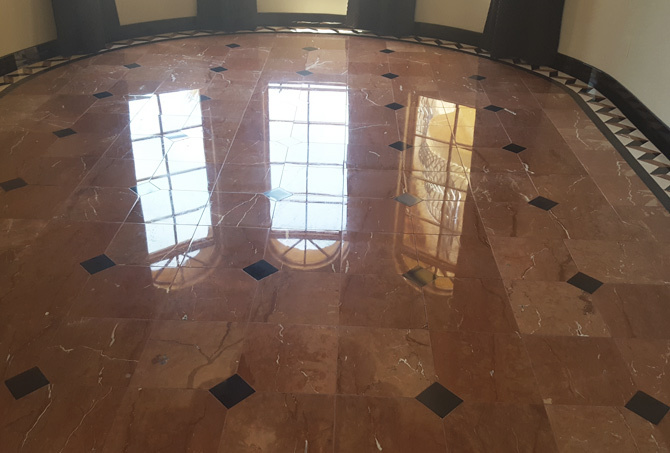 Our professional travertine restoration services rejuvenated the dull, dingy finish naturally, without the need for topical coatings. 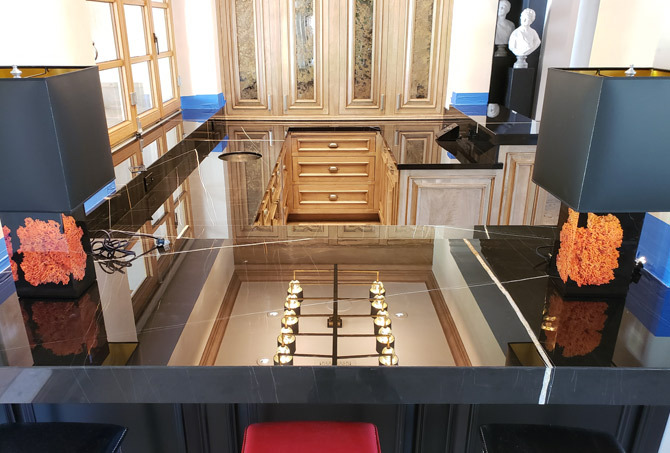 The homeowners loved their StoneGuard® kitchen so much, they had us do their wet bar black marble tops, as well. 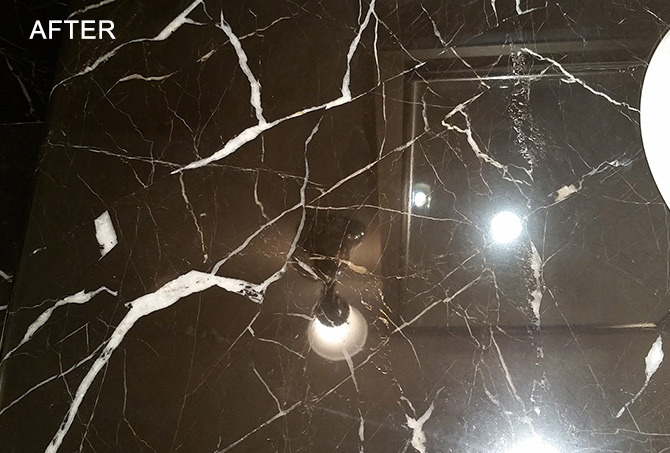 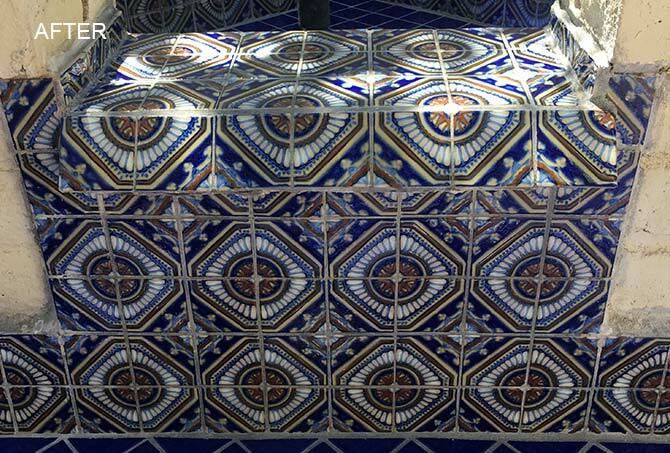 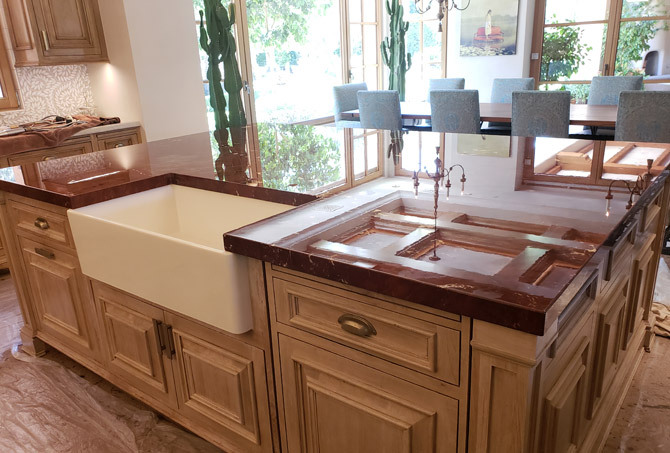 The homeowners' highest concern was protecting the marble finish. 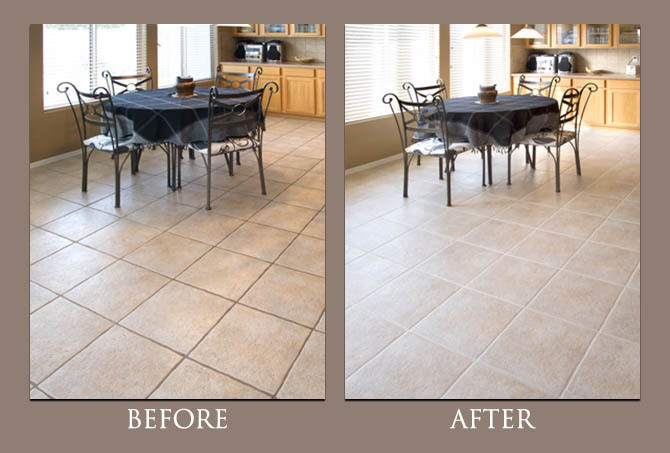 We proposed a long term solution: StoneGuard®. 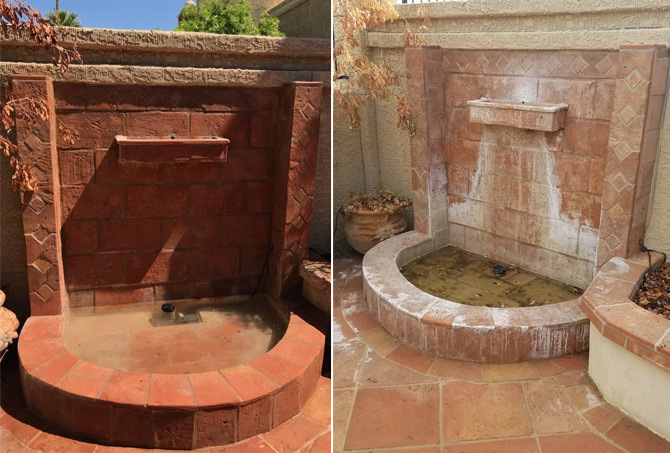 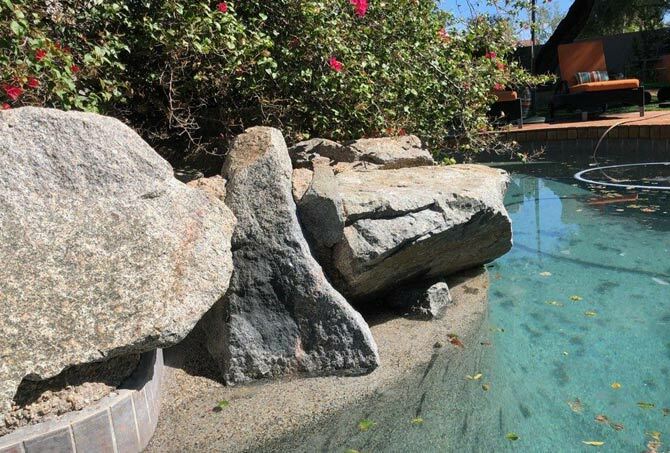 Salt-chlorinated water was causing the stone to slowly loosen from the substrate and decay. 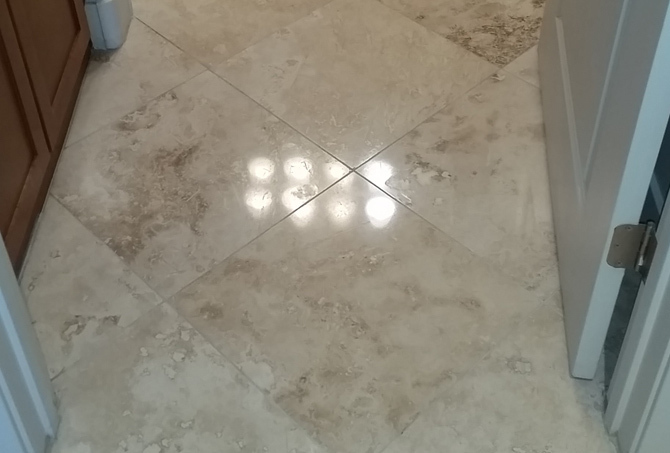 We removed and replaced the damaged stone.